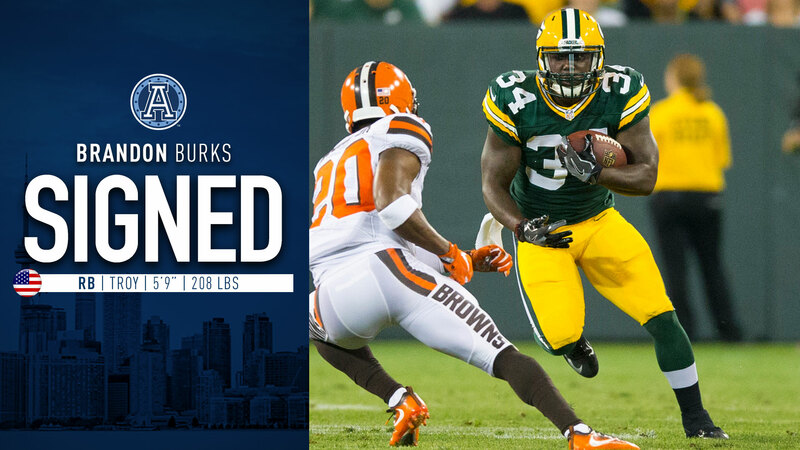 TORONTO – The Toronto Argonauts announced today that the team has signed international running back Brandon Burks. Burks, 24, played in 45 games in four seasons at Troy University, recording 2,253 rushing yards and 12 touchdowns on 430 attempts while adding 673 yards and three touchdowns on 88 receptions. The 5-9, 208-pound native of Enterprise, Alabama, spent time with the Green Bay Packers and New York Jets after being signed as an undrafted free agent by the Packers. Burks dressed for one regular-season game with the Jets in 2016. Burks will join the rest of the Argos on Tuesday, April 17, as the team begins a three-day minicamp at IMG Academy in Bradenton, Florida.